As many of you will be aware, Eilean Donan Castle has become a hugely popular venue for weddings, and there is little doubt that our new apartments will potentially offer the perfect location to accommodate wedding guests all under one roof. In total, we can accommodate 38 people, although eventually, this number will be closer to 60. Add in our beautiful Eilean Donan Holiday Cottage which has proved a huge hit with our Brides & Grooms, and all of a sudden, you have the makings of a truly memorable event. To find out more about weddings at the castle, just click here or you can call Rona, our wedding co-ordinator on 01599 555202. 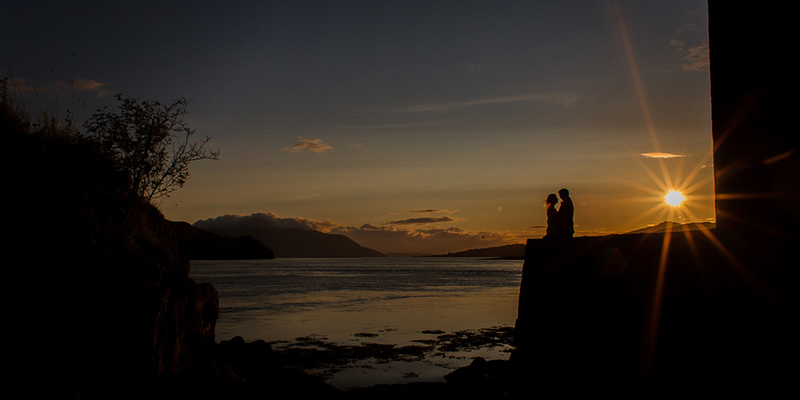 She can also be reached by e-mail on weddings@eileandonancastle.com. Although we are currently unable to offer a facility to cater for a wedding reception, there are certainly plenty of potential venues within close proximity. A list of these, including Dornie Hall which is located directly opposite the apartments, can be found here. 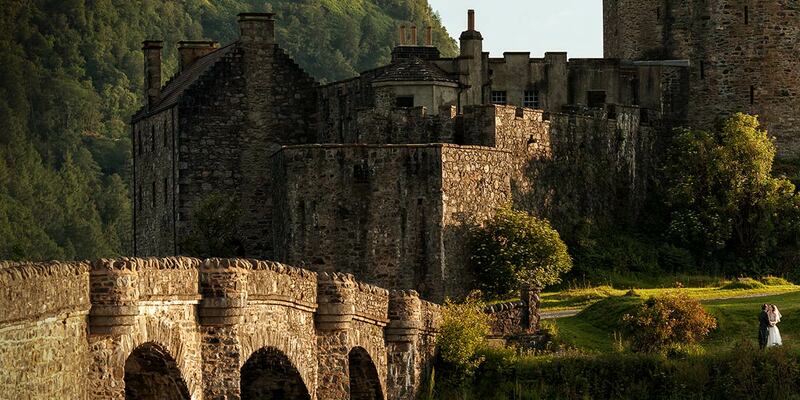 If you’re looking at this post, you might very well be considering choosing Eilean Donan as a venue for your wedding. You’ll have so many important decisions to take in the months ahead, and like most couples, probably only perfection will suffice for your every plan and detail. The problem is that it can sometimes be difficult to get a true feel for a setting or location prior to the big day itself. How do you create your vision? Well hopefully this post just might help. 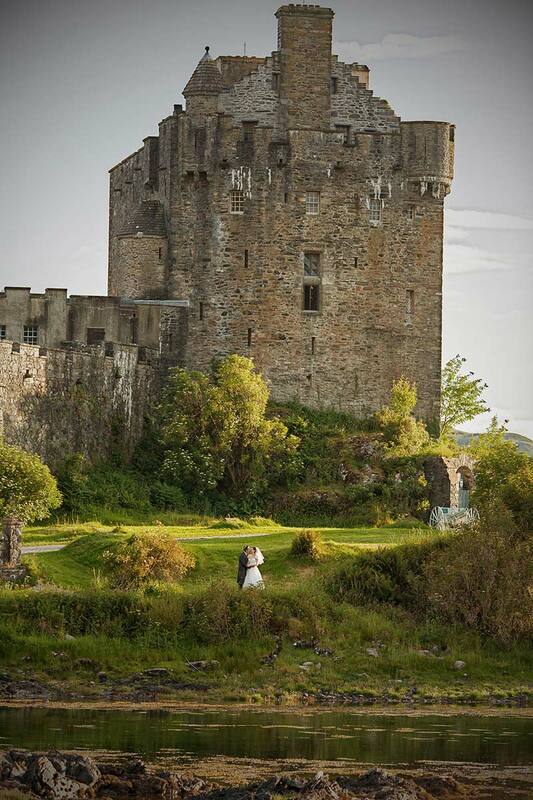 We welcome Brides & Grooms to Eilean Donan from all round the world for their special day, with ceremonies normally taking place in our beautiful Banqueting Hall inside the castle itself. 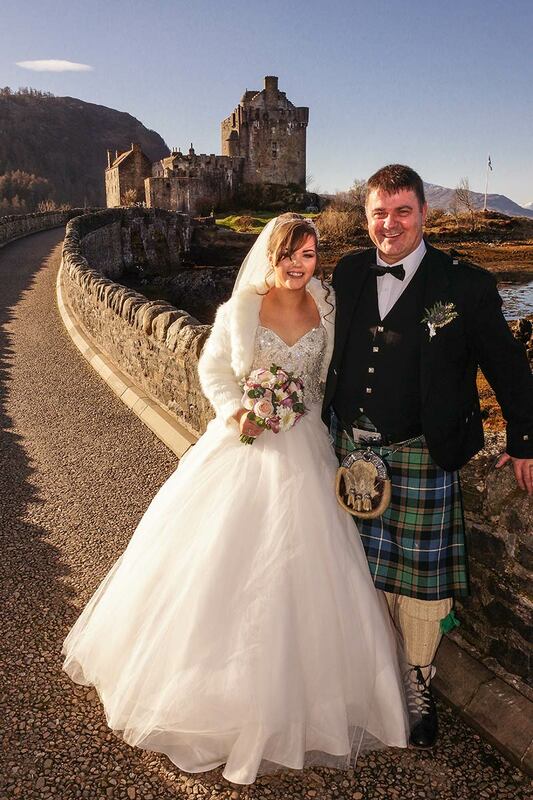 Every so often, when the happy couple desires, (and the weather Gods permit) we also hold ceremonies in the inner courtyard of the castle, overlooking the very lochs and mountains that draw our visitors here. Eilean Donan Castle, Emily & Michael from thistleproduction.com on Vimeo.